Per ESPN's Adam Schefter, The Baltimore Ravens have an agreement in principle to trade veteran quarterback and former Super Bowl MVP Joe Flacco to the Denver Broncos once the new league year begins on March 13th. That meant possibly sending Flacco somewhere where he feels comfortable, according to NFL Network's Ian Rapoport. Niner Noise listed the Broncos as one team San Francisco could trade down with in the 2019 NFL Draft. And now, after three years of wandering the quarterback wilderness, three playoff misses and back-to-back seasons of double-digit losses, Elway has a trade in place for Joe Flacco. Staring at what's largely perceived to be an anything-but-elite QB draft crop, with a screaming need at the position, John Elway, naturally, has chose to trade for Joe Flacco. ESPN said the trade can not take place until March 13 when the new NFL league year begins. And the Niners, who own the No. 2 overall pick, could easily be eyeing a possible trade down in what is turning out to be a thin class at the position. 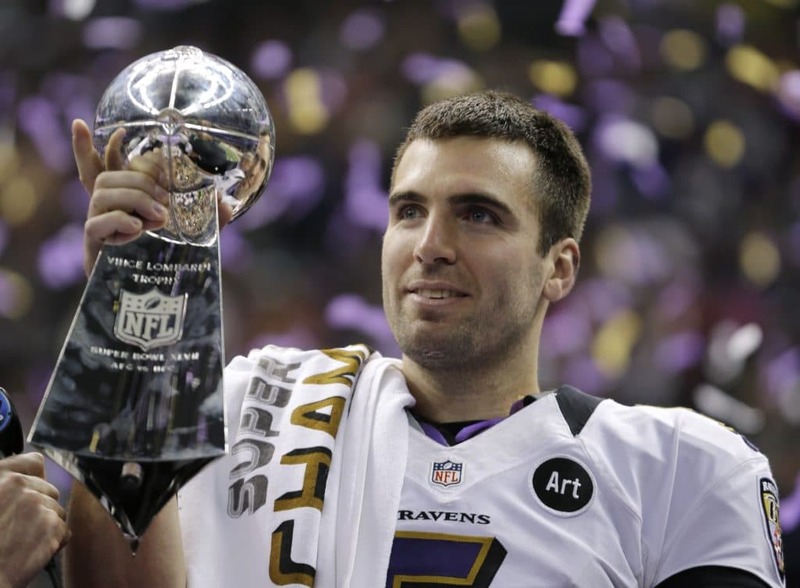 Flacco led the Ravens to the Super Bowl in 2013 and was the Super Bowl XLVII MVP. Per Schefter, the deal will save the Ravens $10.5 million in cap space. True to his station throughout his National Football League career, Keenum was decent enough, though hardly world-beating, completing 62.3% of his passes and throwing 18 touchdowns to 15 interceptions. Flacco was not in the team's future plans with Lamar Jackson coming on last season, and this move solidifies it. Flacco has a 10-5 career postseason record. In his last four seasons as starter he went 24-27 after a 72-40 mark in his first seven.